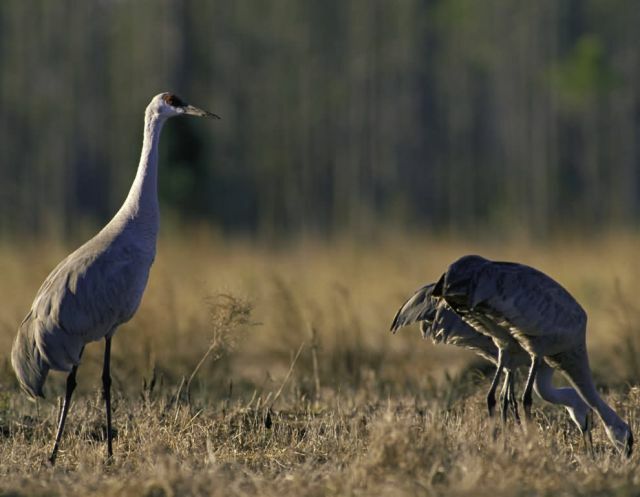 Mississippi Sandhill Crane NWR, Gautier, Mississippi: Mississippi Sandhill Crane National Wildlife Refuge was established specifically to preserve the endangered Mississippi sandhill crane subspecies, and it has succeeded beautifully. Numbers have more than doubled from the low of 30 birds and the population is now stable. The refuge’s 20,000 acres of savanna, swamp, and pine forest also ensured the survival of some 50 threatened gopher tortoises. Other rare species found on this southern Mississippi refuge include Bachman’s sparrow, snakemouth orchids, pitcher plants, and sundews.